Perched near the top of the Helshoogte Pass in Stellenbosch is a much acclaimed South African wine estate with a pure focus on wine accompanied with picturesque views. An impressive approach through winding roads surrounded by stunning scenery brings visitors to the Thelema Mountain Vineyards. The estate is home to Thelema wines and Sutherland Vineyard and is one of the highest and coolest wine estates in the area. This terroir creates renowned wines with distinctive character. 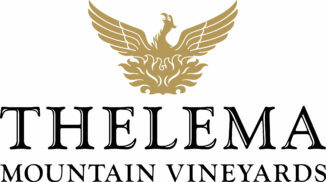 A visit to Thelema Mountain Vineyards will reveal that the focus at Thelema is undoubtedly on the wine. The estate hasn’t added the “bells and whistles” that other wine farms make use of. There is no restaurant, luxury accommodation, gift shop or gallery. 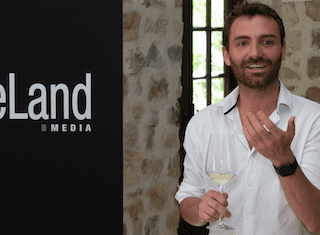 While these are welcome additions to other wine destination, Thelema enjoys a simpler approach. A modern tasting room sits above the wine cellar and visitors can sample some of the estate’s most acclaimed wines while enjoying the sweeping views of the valley below. 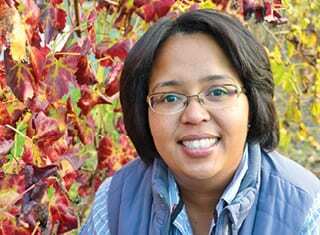 Thelema Mounatin Vineyards has humble roots beginning as a dilapidated fruit farm. In 1983, original winemaker and current cellar master Gyles Webb and his wife’s family took the reigns. Five years later, the first wine was produced and Thelema has been producing celebrated wines ever since. The name Thelema draws inspiration from the Gargantua and Pantagruel stories by renaissance monk and scholar Rabelais. In his work, Rabelais describes an idealized paradise – Theleme. Today, we have Thelema; where the team work to produce top quality wine worthy of an idyllic paradise. The winemaking process at Thelema has a focus of minimum interference and high quality finish. Thelema wines are grown, produced and bottled on the Thelema estate and the wine is French Oak barrelled There are two ranges available: the Thelema Range and the Sutherland Range. The first is grown on site at Thelema in Stellenbosch while the Sutherland grapes are grown at their newer vineyard in Elgin Valley. The Thelema Cabernet Sauvignon is one of the most renowned in the range while “The Mint” Cabernet Sauvignon is one of Thelema’s most unique wines. The mint flavour arises thanks to the eucalyptus trees which grow near the Cabernet Sauvignon grapes and lend their aroma to the distinctive taste. Other notable wines include the Sauvignon Blanc, Chardonnay, Merlot and Method Cap Classique. Wine tastings are also a simple affair at Thelema as there is no food pairing, letting the focus fall to the wine. With its paired-down approach and with wine bursting with character and style, Thelema is a classic and beautiful tasting experience all about the wine and mountain views. Wine tasting is available Monday to Saturday for R50 per person.